Spring is in the air, and MrGreen is letting out the spring feelings by giving his players a £3,000 Cash Drop this month. Make sure to be ready – because 25 lucky winners will get to share the cash prizes! In order to have the chance of winning some March Moolah, you need to get your hands on some Cash Drop entries. You’ll be rewarded with one entry every time you play for £25 on MrGreen’s exclusive Roulette or Blackjack tables, including the DE/Fiesta Blackjack. You can collect up to 100 entry tickets each day in order to maximise your chances of winning! 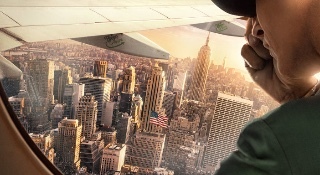 This February, MrGreen gives you the chance to win 1 of 2 fantastic all-inclusive trips to Las Vegas! Each of them are worth £10 000, so it’s an opportunity you don’t want to miss! MrGreen is celebrating its 10 year anniversary – and of course you’re invited! 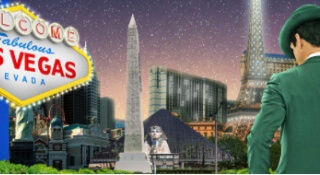 During February you have the chance to win tickets to the big Las Vegas draw that will take place on the 27th. The trips that are up for grabs this time are the most lavish ones yet! You’ll get one ticket for the draw every time you play through £20 on the chosen live casino tables from NetEnt and Evolution Gaming. In order to make it easier for you to collect tickets, Mr Green will provide you with some great Live Casino offers. The draw will take place on the 27th february – where two lucky winner will win a trip to Las Vegas each, and three winners will get cash prizes of £500! Included in the trips are plane tickets for the winner and a guest, 8 nights at Ceasars Palace, dinner at the exklusive resturant Nobu, a helicopter ride and some pocket money for your trip – £1000! MrGreen wants you to find your inner warrior – and gives you the chance to the most gratuitous robbery you’ve ever seen! £75 000 is available for you to get away with – but only the most bold and brave warriors will succeed. It’s time to become reckless – all players have the chance to trigger a random prize during the promotional period! Simply play one of the chosen game in order to win! The chosen games are Vikings Go Wild, Vikings Go Bezerk, Jungle Books, Holmes and the Secret Stones and Golden Fish Tank. Spin with a minimum wager of £1 for the chance to plunder several prizes during the campaign! Win £1 000 every single week! Imagine this: 365 days, 52 weeks and 12 months of free cash! No bonuses, and no fine printing. This christmas – MrGreen is giving five lucky winners up to £1 000 every single week during 2018! Is it to good to be true? No, it’s just Christmas over at MrGreen. Participating in the contest is easy. For every 100 spins you play through on selected slots, you’ll earn 1 ticket at the end of the campaign. Collect as many tickets as you can in order to increase your chances of winning! On January 2nd, MrGreen will draw all of the five lucky winners live! Tune in to the LIVE Exclusive Blackjack Table no. 4 at 18:00 to take part of the exciting draw! Cash prizes, vacations, high-tach gadgets, free plats, bonuses and free spins. That is what’s up fo grabs during 45 days in MrGreen’s Magical Christmas Adventure this year! 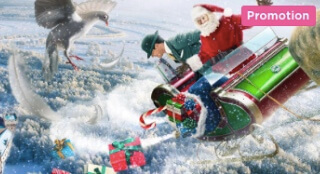 In this year’s adventure, we’ll follow santa & MrGreen through Sweden to collect dropped christmas presents. Come along for a journy you’ll never forget – filled with exciting offers, challenges, and a prize pool of £1 000 000! Make sure to tune into MrGreen Casino every day until New Year’s eve, in order to not miss out on anything! Daily challenges, bonuses, trips and a whole lot more will be up for grabs this season – and it could all be yours! 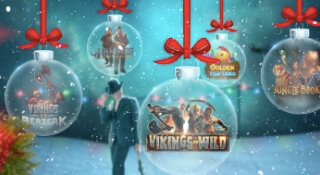 Stay updated, play your favorite games at MrGreen Casino – and maybe you’ll be one of the lucky winners to get an extra special gift under the tree this Christmas! Bring out your inner cowboy with MrGreen Casino! 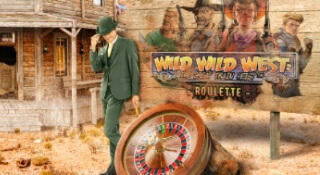 Kick off your cowboy boots, put away your hat and take a seat at the MrGreen Wild Wild West-Roulette table!It’s time to load up your shooting iron with smoking hot cash prizes! Play for a total of £20 at the Roulette table Wild Wild West within one campaign day, and get your account loaded with £5 in bonus money! This means that you have the chance of getting a bonus of £100 throughout the entire campaign period! Celebrate New Year’s in New York! New York is the city that has everything – from famous sights to famous TV-shows such as Friends, Seinfeld and much more. The city is also known for its big New Year’s celebration – and thanks to MrGreen & NetEnt, that’s where you can be on december 31st this year! This promotion is super easy to take part of. For a chance to win the amazing 1st prize, you’ll only have to play Jack and the Beanstalk and/or Jack Hammer during the promotional period. Each time you bet £10, you’ll get one entry to the big prie draw. You can collect up to 50 entries per day – and the more entries you have, the bigger chances you have of winning. The prize draw will be held on Monday, October 9th. 4 night accommodation for two people at Knickerbocker Hotel on Times Square including Penthouse 760 VIP New Year’s Eve package (for a couple): Open bar from 20:00 to 00:00, bottle of champagne and 1 bottle of alcohol on the table, seating on the roof of the ULTRA VIP area, open bar, buffet, bottle service at the table and a champagne toast at midnight! £6000 will fall in Seasons! Fall has arrived, but at MrGreen casino it isn’t just leaves that are falling! 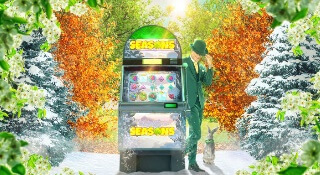 In the MrGreen £6000 cash race, the cash will be falling faster than the colorful leaves, in a slot with the fitting name ‘Seasons’. Play the slot Seasons until the 25th of September in order to enjoy the season to the fullest. You’ll also get the chance to win your share of the £6000 prize pool! So how do you catch the falling cash? Every spin of £0,25 or more that you make on the slot, will give you the opportunity to win one of the 25 treasure chests. These will contain random cash prizes for you to enjoy! The more you wager on each spin, the bigger are your chances to win one of the treasures! Regardless which cash prize you get, the money will immediately be credited to your account. The prizes are all real money – and comes with no requirements what so ever! Experience a true folkfest this year – it’s time for Octoberfest! 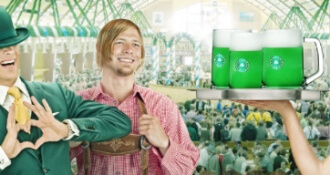 Although MrGreen’s version of it contains less beer than you might expect from an Octoberfest, it does contain enough free spins and cash prizes to keep the party going. 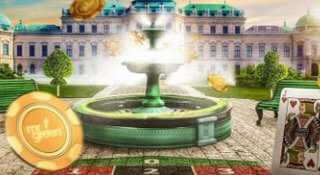 During a two week period MrGreen will let the free spins flow, and they’ll set a table filled with cash prizes. The first campaign period will span from the 15th to the 20th of September – six days where you can take part of up to 60 free spins! If you participate every day, you’ll also get an additional 40 free spins to use on the MrGreen slot Theme Park! Every day will come with different challenges, and when you complete them you will be rewarded with 10 free spins on selected slots! The second campaign period will span from the 21st to the 28th of September. Swing by the MrGreen table, that will be set with cash prizes worth £5 000! The cash will be handed out to some lucky winners in a big prize draw at the end of the campaign. You’ll collect tickets for the draw by plating 30 rounds on the Mr Green slot Theme Park. 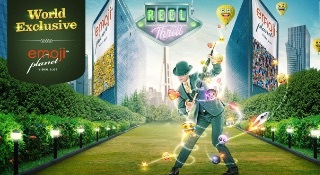 In celebration of the release of the exclusive slot Emoji Planet™ , MrGreen are offering all of their new players an extra 45 free spins as a welcome gift. There will also be more free spins to get during the following weeks! 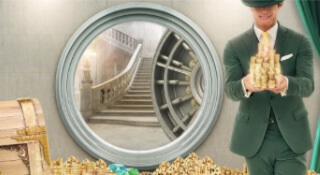 Every new player that deposits and plays through €20 or more at MrGreen will unlock a 100% match bonus up to €100, 200 free spins on selected slots – as well as 9 additional Emoji Planet™ every day for five days! The offer is available until the 23rd August. Reel Thrill and 900 free spins! How about another 900 free spins? This is what will be in the prize pool every hour between 17.00-23.00 in every single Emoji Planet™ tournament this week! 90 free spins will be handed out to the 10 best players every single hour until August 16th, so head over to MrGreen and start spinning!